Getting older (and hopefully, wiser!) has really hammered home the importance of an effective, consistent skincare routine to me, and if there’s one thing I’ve learnt working in Singapore’s media industry, it’s that there are plenty of cleverly marketed products out there full of chemicals and parabens that your skin (and the environment) definitely doesn’t need. That’s one of the reasons I’ve been a fan of LUSH products for a long time (I’ve been buying their fresh face masks in particular for the last ten years!) 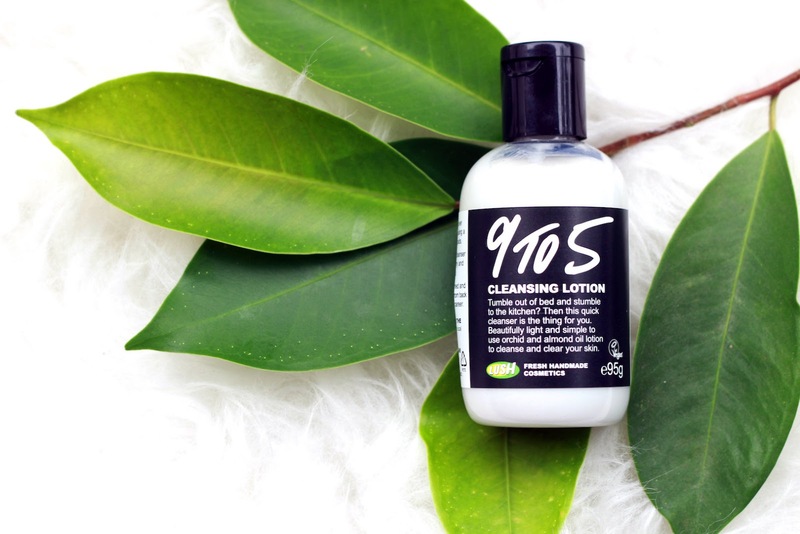 Not only do I respect their company ethics and values – they’re environmentally conscious, against animal cruelty and testing, and make products with fresh ingredients by hand – most importantly, many really do wonders for your face and body. I thought it was high time I share a few of my favourites which are in daily or weekly rotation in my skincare regime. I’m fairly new to this product, having picked one up on my last trip to the UK. I’ve been using Philosophy’s Purity for the past two years to remove make up and cleanse with good results, but recently I had been wanting to find something a) more pocket-friendly and b) something with more nourishing ingredients as I’d noticed redness and irritation becoming more of a regular occurrence, perhaps because of an increased amount of travelling. I picked this up as it was recommended for all skin types (I have normal to combination skin with occasional hormonal flare ups) for a quick and easy cleanse. It took a while to get used to how to apply this (I don’t think I read the instructions carefully enough to begin with!) but now it works like a dream. 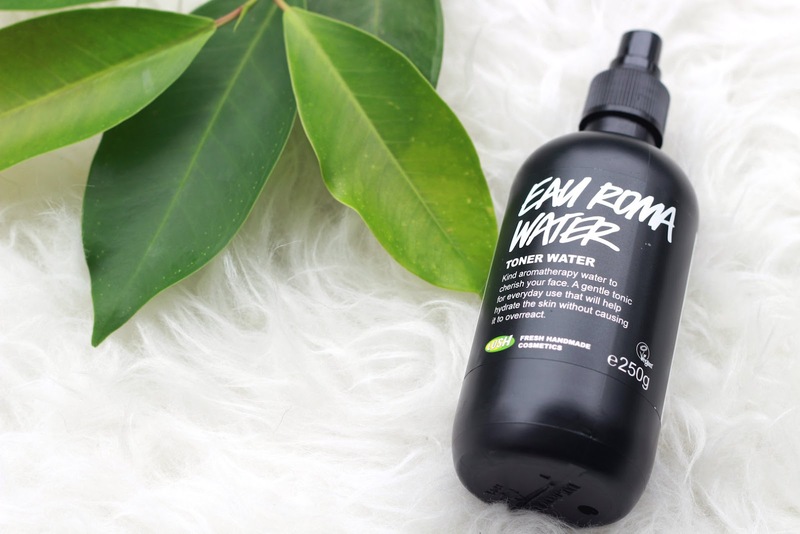 I use this every other day just how you’d use Eve Lom’s cleanser – applying and massaging it into clean skin in the shower or at the sink, and then wiping it off using a warm flannel or muslin cloth. I’ve definitely noticed my skin feels softer, brighter and much more supple after using this (I’m sure this is thanks to the almond and ylang ylang oils), and so much so that I’ve been tempted not to use moisturiser some nights. 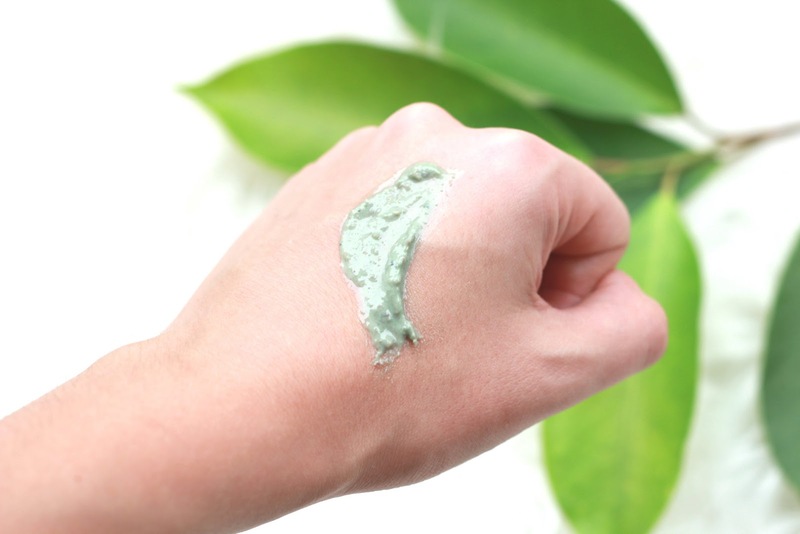 If you’re not in a rush, it’s also a treat to use in the bathtub, as it feels so luxurious on the skin. Flitting in and out of aircon and air travel doesn’t just dehydrate your complexion, it can dry out your lips too, making them more prone to cracking and dryness. It doesn’t matter what balm I slather on, I always end up with sore lips a day or two after a flight, it’s like my curse! I never thought I needed a lip scrub (couldn’t my usual exfoliants just work around my lip area too?) but once I started to use a targeted scrub once a week or so, I did notice a significant difference. This one by LUSH is made with fine castor sugar and organic jojoba oil, which leaves lips feeling super soft and hydrated. The best part is you can actually lick the product off when you’re finished instead of rinsing! This was particularly useful on my last long-haul flight from London to Singapore (I used it twice) and voila – no dryness since. Plus point, the bubblegum smell is super yummy. It’s also ideal for exfoliating your lips before applying your lipstick of choice, particularly for matte formulas which aren’t very forgiving if you have any dry patches. I used to use Dermalogica’s Ultracalming toner, which has always helped soothe away any redness, sensitivity or irritation, but with the price having increased significantly over the years I picked this up in 2015 while looking for a more *ahem* economical option. While I still buy Dermalogica for an occasional treat, this is now my HG toner and I spritz this morning and night straight after cleansing and/or exfoliating in the shower, patting any excess moisture into the skin. It hydrates instantly and has really clarified my complexion over time thanks to the combination of lavender and rose water. I notice the difference in my skin tone and texture within a week if I haven’t re-purchased this, so I make sure I always have one ready to go. 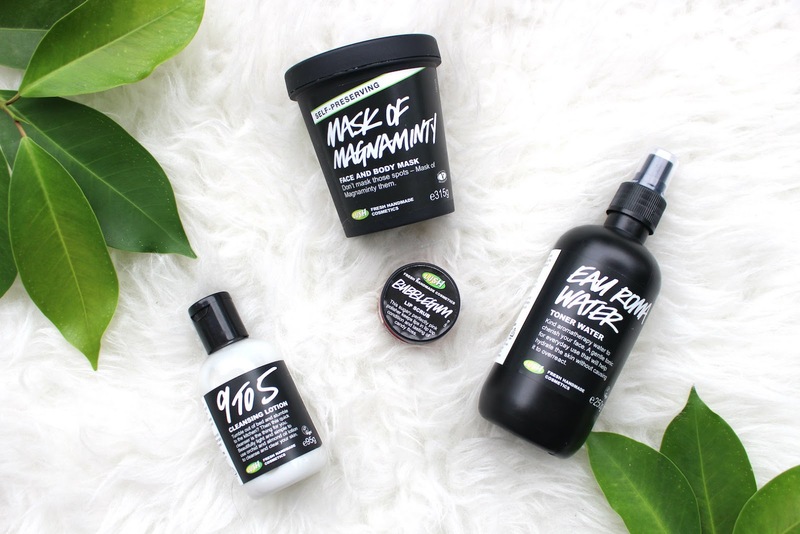 As with many of their products, LUSH make both a large and travel sized bottles which is handy if you’re on-the-go or off on a holiday. I use this one of two ways: left on for 20 minutes after a shower and washed off again (I’ll get back in the shower for this, and to make it worth while I’ll put on a hair mask in the interim as well – effective multitasking!) or as a scrub in the evening. The ground aduki beans, which gives the product it’s uneven texture, don’t feel harsh or abrasive. 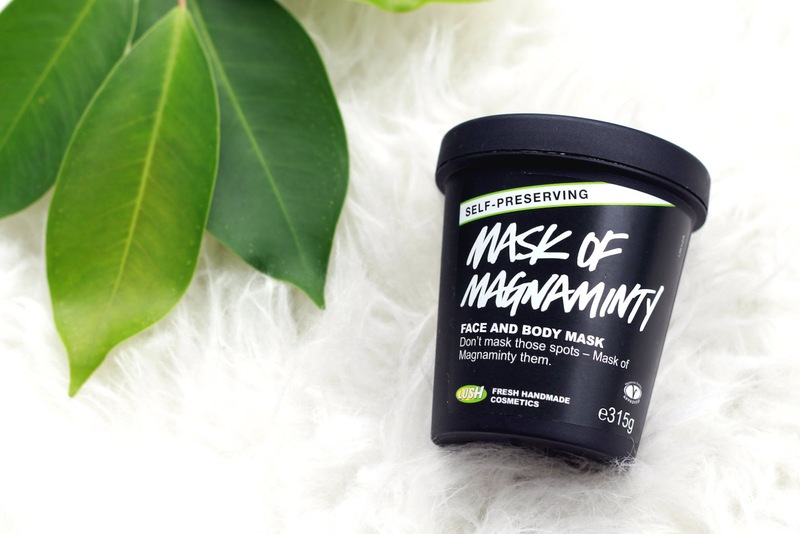 I think Magnaminty works excellently on very oily and breakout-prone skin, and was my saviour when my face went haywire coming off the pill last year (argh, hormones…) It quickly calmed and cleared affected areas and dramatically reduced redness. I actually started using this product for this purpose last year and even though my skin has normalised since then, I still use this on a weekly basis for maintenance. If you suffer from acne on your chest or back area, I’ve been told this also works a treat. Regardless of your skin condition, I can’t recommend this pot of goodness enough! Another cool fact, you can recycle your LUSH products in store (just check the label for any pots which have the recycling symbol). Bring back five empty pots or tubes and you’ll get a fresh mask free. 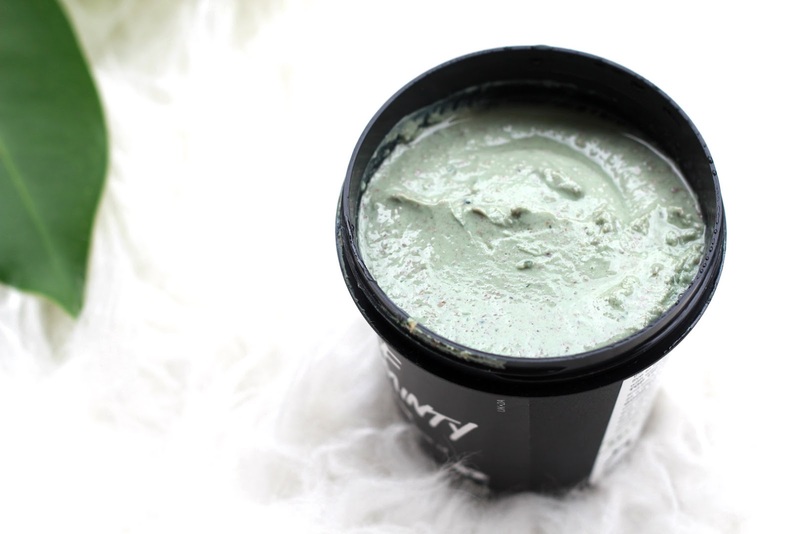 Do you have any favourite LUSH products? Let me know below! If you try any of the above for the first time, I’d love to know what you thought.